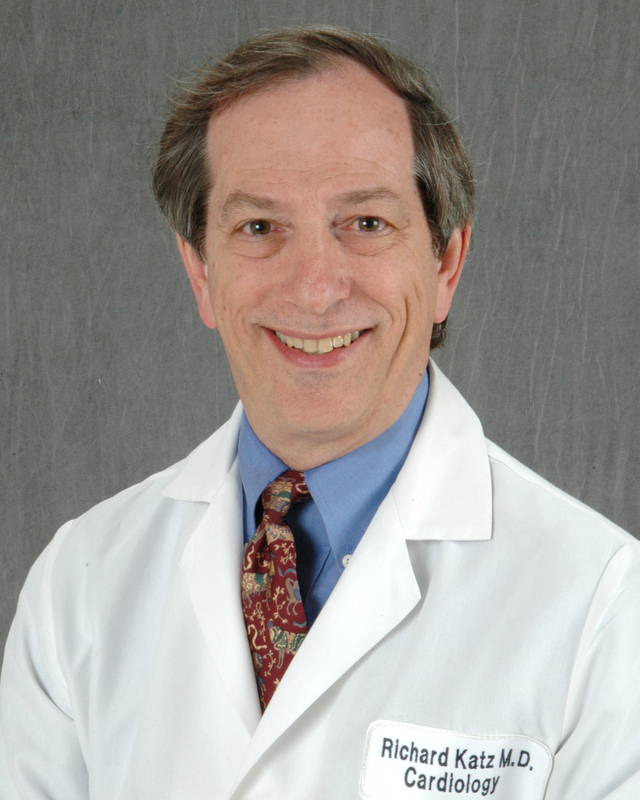 Richard J. Katz, M.D., is the director of the division of Cardiology at the George Washington University Hospital. He also is the Bloedorn Professor of Cardiology. Dr. Katz is involved in numerous research studies evaluating heart failure, coronary artery disease and cardiac rhythm disorders. He has served as the principal investigator for a number of national clinical trials, including: CAST, Cardiac Arrhythmia Suppression Trial; PEACE, Prospective Evaluation of ACE Inhibitors; and BEST, Beta-blocker Evaluation of Survival Trial. Dr. Katz is a Fellow of the American College of Cardiology. He serves on the editorial boards of Cardiology Review and the British Journal of Cardiology, and is a reviewer for Circulation and the American Journal of Cardiology as well as a consultant for the National Institute of Health. Dr. Katz graduated from the New York University School of Medicine and completed his cardiology fellowship at the Georgetown University School of Medicine.